Ad campaign invites men to replace the ordinary with the extraordinary. 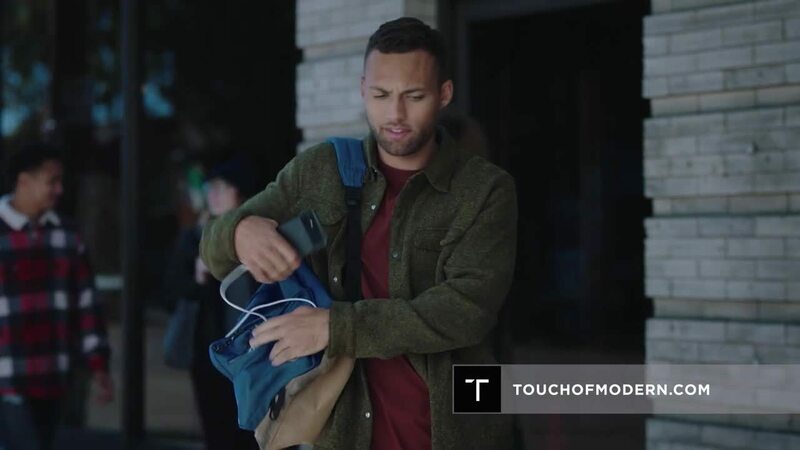 The spot follows one man’s journey as he uses the Touch of Modern app to replace mundane objects with exceptional products that allow him to live the way he wants. Shot primarily in Seattle, the spot uses the app to bring products to life and transition between scenes. Marketing Architects continues as the broadcast advertising partner for the brand. In collaboration with Touch of Modern, they crafted the campaign strategy then wrote and produced the TV commercial. Touch of Modern is the leading e-commerce app for men to discover cutting-edge products. Catering to male millennial tastemakers, Touch of Modern focuses on offering unique and new-to-market products not easily found at traditional retailers, with more than 250+ new items added daily. Touch of Modern was named one of the 500 fastest-growing private companies in America by the Inc. 5000 for two consecutive years, and its founders were awarded the "Forbes 30 Under 30" in 2016. Founded in 2012 and headquartered in San Francisco, the company is generating more than $140M in annual revenue with over 17M users. For more information, visit www.touchofmodern.com. Brand + Performance Marketing: Better Together.